Philip V (c. 1293 – 3 January 1322), knowns as the Tall (French: Philippe le Long), was King of France and Navarre (as Philip II). He reigned from 1316 to his death and was the fourteenth and penultimate monarch of the main line of the House of Capet. As the second son of king Philip IV, he was granted an appanage, the County of Poitiers, while his elder brother, Louis X, inherited the throne in 1314. When Louis died in 1316, he left a daughter and a pregnant wife, Clementia of Hungary. Philip the Tall successfully claimed the regency. Queen Clementia gave birth to a boy, who was proclaimed king as John I, but the infant king lived only for five days. At the death of his nephew, Philip immediately had himself crowned at Reims. However, his legitimacy was challenged by the party of Louis X’s daughter Joan. Philip V successfully contested her claims for a number of reasons, including her youth, doubts regarding her paternity (her mother was involved in the Tour de Nesle Affair), and the Estates General's determination that women should be excluded from the line of succession to the French throne. The succession of Philip, instead of Joan, set the precedent for the French royal succession that would be famously known as the Salic law. Philip V restored somewhat good relations with the County of Flanders, which had entered into open rebellion during his father’s rule, but simultaneously his relations with Edward II of England worsened as the English king, who was also Duke of Guyenne, initially refused to pay him homage. A spontaneous popular crusade started in Normandy in 1320 aiming to liberate Iberia from the Moors. Instead the angry populace marched to the south attacking castles, royal officials, priests, lepers, and Jews. Philip V engaged in a series of domestic reforms intended to improve the management of the kingdom. These reforms included the creation of an independent Court of Finances, the standardization of weights and measures, and the establishment of a single currency. Philip V died from dysentery in 1322 without a male heir and was succeeded by his younger brother Charles IV. Philip was born in Lyon, the second son of King Philip IV of France and Queen Joan I of Navarre. His father granted to him the county of Poitiers in appanage. Modern historians have described Philip V as a man of "considerable intelligence and sensitivity", and the "wisest and politically most apt" of Philip IV's three sons. Philip was influenced by the troubles and unrest that his father had encountered during 1314, as well as by the difficulties his older brother, Louis X, known as "the Quarreler", had faced during the intervening few years. At the heart of the problems for both Philip IV and Louis X were taxes and the difficulty in raising them outside of crises. Philip married Joan of Burgundy, the eldest daughter of Otto IV, Count of Burgundy and Mahaut, Countess of Artois, in 1307. The original plan had been for Louis X to marry Joan, but this was altered after Louis was engaged to Margaret of Burgundy. Modern scholars have found little evidence as to whether the marriage was a happy one, but the pair had a considerable number of children in a short space of time, and Philip was exceptionally generous to Joan by the standards of the day. Philip went to great lengths not only to endow Joan with lands and money but to try to ensure that these gifts were irrevocable in the event of his early death. Amongst the various gifts were a palace, villages, additional money for jewels, and her servants and the property of all the Jews in Burgundy, which he gave to Joan in 1318. Joan was implicated in Margaret's adultery case during 1314; Margaret was accused and convicted of adultery with two knights, upon the testimony of their sister-in-law, Isabella. Joan was suspected of having secretly known about the adultery; placed under house arrest at Dourdan as punishment, it was then implied that Joan was guilty of adultery herself. With Philip's support she continued to protest her innocence, and by 1315 her name had been cleared by the Paris Parlement, partially through Philip's influence, and she was allowed to return to court. It is unclear why Philip stood by her in the way that he did. One theory has been that he was concerned that if he were to abandon Joan, he might also lose Burgundy; another theory suggests that his slightly "formulaic" love letters to his wife should be taken at face value, and that he was in fact very deeply in love. Philip engineered a hasty coronation after the death of his nephew, the young John I, to build support for his bid for the French throne in 1316-17. Philip's older brother, Louis X, died in 1316 leaving the pregnant Clementia of Hungary as his widow. There were several potential candidates for the role of regent, including Charles of Valois and Duke Odo IV of Burgundy, but Philip successfully outmanoeuvred them, being appointed regent himself. Philip remained as regent for the remainder of the pregnancy and for a few days after the birth of his nephew John I, who lived for only five days. The death of John I was unprecedented in the history of the Capetian Kings of France. For the first time, the king of France died without a male heir. The heir to the throne was now a subject of some dispute. Joan, the remaining daughter of Louis X by Margaret of Burgundy, was one obvious candidate, but suspicion still hung over her as a result of the scandal in 1314, including concerns over her actual parentage. With only his niece between himself and the throne, Philip engaged in some rapid political negotiations and convinced Charles of Valois, who along with Odo IV was championing Joan's rights, to switch sides and support him instead. In exchange for marrying Philip's daughter, Odo IV abandoned his niece's cause, not only her claim to the French throne but also her claim to Navarre's. On 9 January 1317, with Charles's support, Philip was hastily crowned at Rheims. The majority of the nobility, however, refused to attend, there were demonstrations in Champagne, Artois, and Burgundy, and Philip called a rapid assembly of the nobility on 2 February in Paris. Philip laid down the principle that Joan, as a woman, could not inherit the throne of France, played heavily upon the fact that he was now the anointed king, and consolidated what some authors have described as his effective "usurpation" of power. The exclusion of women, and later of their male descendants, was later popularized as the Salic law by the Valois monarchy. Joan, however, did accede in 1328 to the throne of Navarre, which did not hold to the Salic law. The next year, Philip continued to strengthen his position. He married his eldest daughter Joan to the powerful Odo IV, bringing the Duke over to his own party. Philip then built his reign around the notion of reform – "reclaiming rights, revenues and territories" that had been wrongly lost to the crown in recent years. Philip took steps to reform the French currency during the course of his reign, including these silver Tournois coins. Domestically, Philip proved a "strong and popular" king, despite inheriting an uncertain situation and an ongoing sequence of poor harvests. He followed in the steps of his father, Philip IV, in trying to place the French crown on a solid fiscal footing and revoked many of the unpopular decisions of his predecessor and older brother, Louis X. He also instituted government reforms, reformed the currency and worked to standardise weights and measures. Amongst Philip's key appointments was the later cardinal Pierre Bertrand, who would play a key role in successive French royal governments in subsequent years. In 1317, Philip reissued an act first passed by his father, in 1311, condemning the alienation and theft of royal resources and offices in the provinces. By 1318, his political situation strengthened, Philip went further, setting out in a new act a distinction between the French royal domain – the core set of lands and titles that belonged permanently to the crown – and those lands and titles that had been forfeited to the crown for one reason or another. If the French crown was to bestow or grant new lands to nobles, Philip declared, they would usually be given only from the second source: this was a double-edged announcement, at once reinforcing the core, unalienable powers of the crown, whilst also reassuring nobles that their lands were sacrosanct unless they were forfeited to the crown in punishment for a crime or misdemeanour. Philip was responsible for the creation of the cours des comptes in 1320, a court responsible for auditing the royal accounts to ensure proper payment; the courts still exist today. In practice, Philip did not entirely keep to his self-declared principles on grants of royal lands and titles, but he was far more conservative in such matters than his immediate predecessors. Philip was able to achieve a successful resolution of the ongoing Flanders problem. The Count of Flanders ruled an "immensely wealthy state", which largely led an autonomous existence on the edge of the French state. The French king was generally regarded as having suzerainty over Flanders, but in recent years the relationship had become strained. 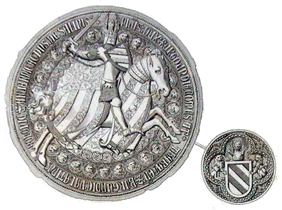 Philip IV had been defeated at Courtrai in 1302 attempting to reassert French control, and despite the later French victory at the Battle of Mons-en-Pévèle the relationship remained tense. Robert III of Flanders had continued to resist France militarily, but by Philip's accession to the throne had found himself increasingly isolated politically in Flanders itself. Meanwhile, the French position had become strained by the need to maintain a wartime footing. Louis X had prohibited exports of grain and other material to Flanders in 1315, resulting in a profitable smuggling industry that in turn discouraged legal trade with the French crown along the border region; Louis was forced to directly requisition food for his forces, resulting in a string of complaints from local lords and the Church. Philip began to reinstate a proper recompensation scheme in 1317, but the situation remained unstable. Both Philip and Robert turned away from seeking a military solution in favour of a political compromise. Accordingly, Robert made an accommodation with Philip in June 1320, under which Robert would confirm his young grandson, Louis, as his designated heir, in return for Louis being pledged in marriage to Philip's second daughter, Margaret. This would provide Robert, and then Louis, with strong French support within Flanders. Louis was, to a great extent, already under Philip's influence. Louis had been brought up in Nevers in central France, and at Philip's court. and was culturally effectively a French prince. This arrangement was a considerable success for Philip's policy, although over time Louis' clear French loyalties and lack of political links within Flanders itself would lead to political upheaval and peasant revolt. Philip also faced difficulties with Edward II of England. Like the Count of Flanders, Edward in his role as the ruler of Gascony owed homage to the king of France, but as a king in his own right, and as the head of a largely autonomous Gascon province, was disinclined to do so. Edward had not given homage to Louis X, and initially declined to do so to Philip, who had a reputation as being more favourable to the English than Louis X. In 1319 Philip allowed Edward to give homage by proxy, an honour by the standards of the day, but expected him to do so in person in 1320. Edward arrived in Amiens to do so, only to find that Philip was now insisting that Edward also give an oath of personal fealty to him – an act going beyond that of normal feudal homage. Edward gave homage but refused to swear fealty; nonetheless, this marked a period of increased French pressure on England over Gascony. Pope John XXII, initially a close ally of Philip in the late crusading movement in Christian Europe, joined with him in condemning the violent Shepherds' Crusade in 1320. Philip was also to play a role in the ongoing crusade movement during the period. Pope John XXII, the second of the Avignon popes, had been elected at a conclave assembled in Lyons during 1316 by Philip himself, and set out his renewed desire to see fresh crusades. Philip IV had agreed to a joint plan for a new French-led crusade at the Council of Vienne in 1312, with his son Philip, a "committed crusader," taking the cross himself in 1313. Once king himself, Philip was obligated to carry out these plans and asked John for and received additional funds after 1316. Both Philip and John agreed, however, that a French crusade was impossible whilst the military situation in Flanders remained unstable. Nonetheless, John continued to assure the Armenians that Philip would shortly lead a crusade to relieve them. An attempt to send a naval vanguard from the south of France under Louis I of Clermont failed, however, with the forces being destroyed in a battle off Genoa in 1319. Over the winter of 1319–20 Philip convened a number of meetings with French military leaders in preparation for a potential second expedition, that in turn informed Bishop William Durand's famous treatise on crusading. By the end of Philip's reign, however, he and John had fallen out over the issue of new monies and commitments to how they were spent, and the attentions of both were focused on managing the challenge of the Shepherds' Crusade. The Shepherds' Crusade, or the Pastoreaux, emerged from Normandy in 1320. One argument for the timing of this event has been that the repeated calls for popular crusades by Philip and his predecessors, combined with the absence of any actual large scale expeditions, ultimately boiled over into this popular, but uncontrolled, crusade. Philip's intent for a new crusade had certainly become widely known by the spring of 1320, and the emerging peace in Flanders and the north of France had left a large number of displaced peasants and soldiers. The result was a large and violent anti-Semitic movement threatening local Jews, royal castles, the wealthier clergy, and Paris itself. The movement was ultimately condemned by Pope John, who doubted whether the movement had any real intent to carry out a crusade. Philip was forced to move against it, crushing the movement militarily and driving the remnants south across the Pyrenees into Aragon. In 1321 an alleged conspiracy – the "leper scare" – was discovered in France. The accusation, apparently unfounded, was that lepers had been poisoning the wells of various towns, and that this activity had been orchestrated by the Jewish minority, secretly commissioned by foreign Muslims. The scare took hold in the febrile atmosphere left by the Shepherds' crusade of the previous year and the legacy of the poor harvests of the previous decade. The French Jews were, by 1321, closely connected to the French crown; Philip had given orders that royal officials assist Jewish money lenders in recovering Christian debts, and some local officials were arguing that the crown was due to inherit the estates of dead Jewish merchants. Following the events of 1320, Philip was involved in fining those who had attacked Jews during the Shepherds' Crusade, which in practice added further to the dislike of this minority in France. Rumours and allegations about lepers themselves had been circulated in 1320 as well, and some had been arrested during the Crusade. Philip was in Poitiers in June, involved in a tour of the south aimed at reform of the southern fiscal system, when word arrived of the scare. Philip issued an early edict demanding that any leper found guilty was to be burnt and their goods would be forfeit to the crown. The King's southern tour and reform plans, although administratively sound by modern standards, had created much local opposition, and modern historians have linked the King's role in Poitiers with the sudden outbreak of violence. This all put Philip in a difficult position: He could not openly side with those claiming wrongdoing by the lepers, Jews, and Muslims without encouraging further unnecessary violence; on the other hand, if he did not ally himself to the cause, he encouraged further unsanctioned violence, weakening his royal position. Some Jews did leave France as a result of the leper scare, but Philip had successfully resisted signing any formal edict, which limited the impact to some degree. In August, Philip was continuing to progress his reform plans when he fell ill from multiple illnesses. After a brief respite, he died at Longchamp, Paris. He was interred in Saint Denis Basilica, with his viscera buried at the church of the now-demolished Couvent des Jacobins in Paris. By the principle of male succession that Philip had invoked in 1316, Philip was succeeded by his younger brother, Charles IV, since he left no sons. Charles was also to die without male issue, resulting ultimately in the claim to the French throne by Edward III of England and the subsequent Hundred Years War (1337–1453). Margaret (1309 – 9 May 1382), wife of Louis I of Flanders. Countess of Burgundy and Artois in her own right. Isabelle (1310 – April 1348), wife of Guigues VIII de La Tour du Pin, Dauphin de Viennois. Blanche (1313 – 26 April 1358), a nun. Philip (24 June 1316 – 24 February 1317). Philip is a character in Les Rois maudits (The Accursed Kings), a series of French historical novels by Maurice Druon. In the novel, Philip was depicted as the most shrewd among the three sons of Philip IV. He was portrayed by Josep Maria Flotats in the 1972 French miniseries adaptation of the series, and by Éric Ruf in the 2005 adaptation. ^ a b c Brown, p.126. ^ a b c d e Brown, p.127. ^ a b c d e f g h Wagner, p.250. ^ a b Brown, p.130. ^ a b Brown, p.138. ^ a b c d e f g h Rose, p.89. ^ a b c d Fryde, p.139. ^ a b c Holmes, p.16. ^ a b c TeBrake, p.47. ^ a b c d e Jordan, p.170. ^ a b Housley 1986, p.20. ^ a b c Riley-Smith, p.266. ^ a b Housley 1986, p.21. ^ a b Housley 1986, p.22. ^ a b Jordan, p.171. ^ a b Nirenberg, p.60. ^ a b Henneman 1971, p. xvii. ^ a b c Woodacre 2013, p. xix. Barber, Malcolm. (1981) "The Pastoureaux of 1320." Journal of Ecclesiastical History. 32 (1981): 143–166. Brown, Elizabeth, A. R. (2000) The King's Conundrum: Endowing Queens and Loyal Servants, Ensuring Salvation, and Protecting the Patrimony in Fourteenth-Century France, in Burrow and Wei (eds) 2000. Burrow, John Anthony and Ian P. Wei (eds). (2000) Medieval Futures: Attitudes to the Future in the Middle Ages. Woodbridge: The Boydell Press. Drees, Clayton J. (2001) The Late Medieval Age of Crisis and Renewal, 1300–1500: a Biographical Dictionary. Westport: Greenwood Press. Duby, George. (1993) France in the Middle Ages 987–1460: from Hugh Capet to Joan of Arc. Oxford: Blackwell. Fryde, Natalie. (2003) The Tyranny and Fall of Edward II 1321–1326. Cambridge: Cambridge University Press. Henneman, John Bell (1971). Royal Taxation in Fourteenth-Century France: The Development of War Financing, 1322-1359. Princeton University Press. Housley, Norman. (1992) The later Crusades, 1274–1580: from Lyons to Alcazar. Oxford: Oxford University Press. Jordan, William Chester. (1996) The Great Famine: Northern Europe in the early Fourteenth Century. Princeton: Princeton University Press. Jordan, William Chester. (2005) Unceasing Strife, Unending Fear: Jacques de Therines and the Freedom of the Church in the Age of the Last Capetians. Princeton: Princeton University Press. Riley-Smith, Jonathan. (2005) The Crusades: a History. London: Continuum. Rose, Hugh James. (1857) A New General Biographical Dictionary, Volume 11. London: Fellows. Woodacre, Elena (2013). The Queens Regnant of Navarre: Succession, Politics, and Partnership, 1274-1512. Palgrave Macmillan. 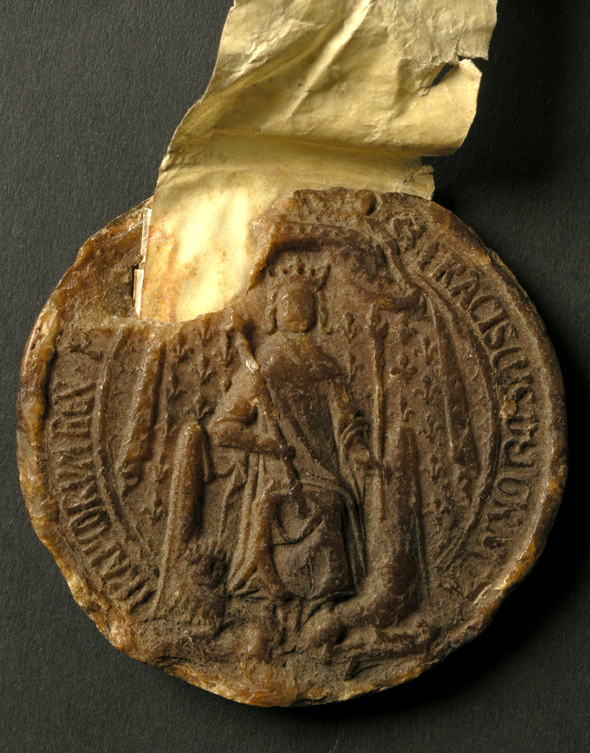 The original wax seal of King Philip V the Tall in the Estonian Historical Archives. Philip IV, called Philip the Fair, was King of France from 1285 until his death. By virtue of his marriage with Joan I of Navarre, he was also King of Navarre as Philip I from 1284 to 1305, as well as Count of Champagne. Although Philip was known as handsome, hence the epithet le Bel, his rigid and inflexible personality gained him other nicknames, such as the Iron King. His fierce opponent Bernard Saisset, bishop of Pamiers, said of him: "he is neither man nor beast. He is a statue." Louis X, called the Quarrelsome, the Headstrong, or the Stubborn, was King of France from 1314 until his death, succeeding his father Philip IV. After the death of his mother, Joan I of Navarre, he was also King of Navarre as Louis I from 1305 until his death in 1316. The Kingdom of Thessalonica was a short-lived Crusader State founded after the Fourth Crusade over conquered Byzantine lands in Macedonia and Thessaly. The Kingdom of France in the Middle Ages was marked by the fragmentation of the Carolingian Empire and West Francia (843–987); the expansion of royal control by the House of Capet (987–1328), including their struggles with the virtually independent principalities that had developed following the Viking invasions and through the piecemeal dismantling of the Carolingian Empire and the creation and extension of administrative/state control in the 13th century; and the rise of the House of Valois (1328–1589), including the protracted dynastic crisis of the Hundred Years' War with the Kingdom of England (1337–1453) compounded by the catastrophic Black Death epidemic (1348), which laid the seeds for a more centralized and expanded state in the early modern period and the creation of a sense of French identity. 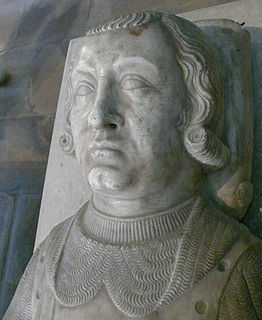 Robert II of Burgundy was Duke of Burgundy between 1272 and 1306. Robert was the third son of duke Hugh IV and Yolande of Dreux. Odo IV or Eudes IV was Duke of Burgundy from 1315 until his death and Count of Burgundy and Artois between 1330 and 1347. 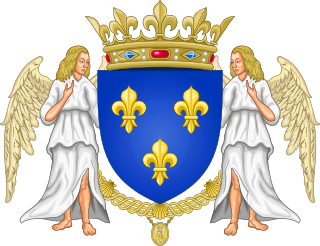 He was the second son of Duke Robert II and Agnes of France. Philip III, called the Noble or the Wise, was King of Navarre from 1328 until his death. He was born a minor member of the French royal family but gained prominence when the Capetian main line went extinct, as he and his wife and cousin, Joan II of Navarre, acquired the Iberian kingdom and a number of French fiefs. Margaret I, was a ruling Countess Palatine of Burgundy and Artois from 1361 and 1382. She was also countess of Flanders, Nevers and Rethel by marriage to Louis I, Count of Flanders, and regent of Flanders during the minority of her son Louis II, Count of Flanders in 1346. Agnes of France was a Duchess of Burgundy by marriage to Robert II, Duke of Burgundy. She served as regent of Burgundy during the minority of her son in 1306–1311. Joan II, Countess of Burgundy, was Queen of France by marriage to Philip V of France, and ruling Countess of Burgundy and Countess of Artois. She was the eldest daughter and heiress of Otto IV, Count of Burgundy, and Mahaut, Countess of Artois.